You may be the type of person who enjoys a surprise, but there’s one surprise no one likes—a dental emergency. These are often frightening, nerve-wracking and always, always at the wrong time. But like any other emergency, handling a dental emergency requires having a plan. And the first step in that plan should be to call your emergency dentist in Long Island City Dr. Saran at 347-537-6193. We’ll be able to determine if your emergency calls for an urgent visit to our office. In the meantime, here are some tips on what you should do for different types of dental emergencies. There are toothaches and then there are toothaches. 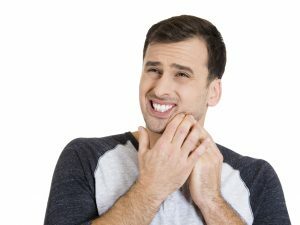 A mild toothache may only be a sign that something is caught between two teeth. Try using a piece of floss or a flat toothpick to remove whatever is caught. Never use anything sharp, such as the tip of a knife. The risk of cutting your gums or other soft tissue is too great. A severe toothache, on the other hand, may indicate that you have an infected tooth. In this case, Dr. Saran will need to see you as soon as possible. Infection inside a tooth can be extremely painful and can easily spread beyond the tooth. To remove the infection and preserve the tooth, a root canal may be necessary. Other dental emergencies that warrant an immediate phone call to our dental office in Long Island City include a broken tooth, a loose or misaligned tooth and any accident where there is ongoing bleeding or severe pain. And when you’re not sure whether a situation is an emergency, don’t wait and see. Call Dr. Saran at LIC Dental Associates.